Sometimes we are unable to recreate the natural sunds of different animals. Therefore we have to look elsewhere to give you the Hunter a quality product to match your hunting needs.I have found by testing these calls that are listed below to be the better ones (in my opinion) that I have found. This Page is dedicated to other Calls. We will be adding more Calls in the near future to include Elk, and Moose. As always if there is a certain product you would like to see, just let me know. 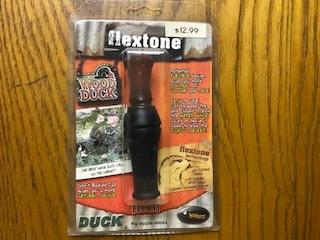 Flextone " Wood Duck" Call. Primos "Blue Wing Teal" Call. Primos "Duck Whistle & Mallard Drake Grunt" Call.